Viewing will be Wed and Thurs from 4-8 PM with the family receiving friends from 5-7 PM. Services to celebrate Kathy’s life will be 1:00 PM Friday, September 6 at the South Colonial Chapel. Jesus took Kathy Cox by the hand on Sunday, September 2, 2018 at the age of 66. She was born April 12, 1952 in Ardmore, Oklahoma to her parents, Andrew Ray and Anna Lee (Oaks) Davis. Kathy was a barber and graduated from barber lege. She also worked as a stylist for many years. Kathy loved Mexican food, pumpkin spice cappuccino, coffee, family get-togethers, crafting, singing, watching old shows on ME TV and playing bingo. Kathy had a special love for babies and was known as Nana to everyone. She will be deeply missed. Numerous nieces, nephews, and other loved ones. 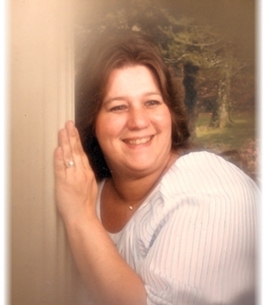 To send flowers to the family of Kathy Cox, please visit our Heartfelt Sympathies Store.